Funnily enough I hadn’t actually tried DKNY until I went on a press trip with them sometime last year. Flash forward I’ve spritzed my way through one of the iconic apple bottles and I’m itching for more. A few days ago a little hamper of the three spring Be Delicious fragrances came through my door, and I did a little beauty gift related happy dance. DKNY Be Delicious City Blossom collection is a collection of three different variations on the cult fragrance. Three scents inspired by the trend for rooftop gardens in NYC, capturing that scent and passing on the botanical delight of these secret garden sanctuaries. First up the pink one is DKNY Be Delicious City Blossom Rooftop Peony. This is fruity and floral in equal parts. With notes of bergamot, Pink lady apples, Mandarin and rose. It also has a few muskier notes in it to ground it, but on the whole it’s a very fresh fragrance. Then we have the purple one, which is DKNY Be Delicious City Blossom Urban Violet - a mix of Mandarin, blackberry and rose. It’s fresh and peppy while also being light and refreshing. I think this is my personal favourite of the bunch as I afore the way the mandarin and blackberry notes come out. It's musky but also super fresh and so easy to wear. This might be my new spring scent! 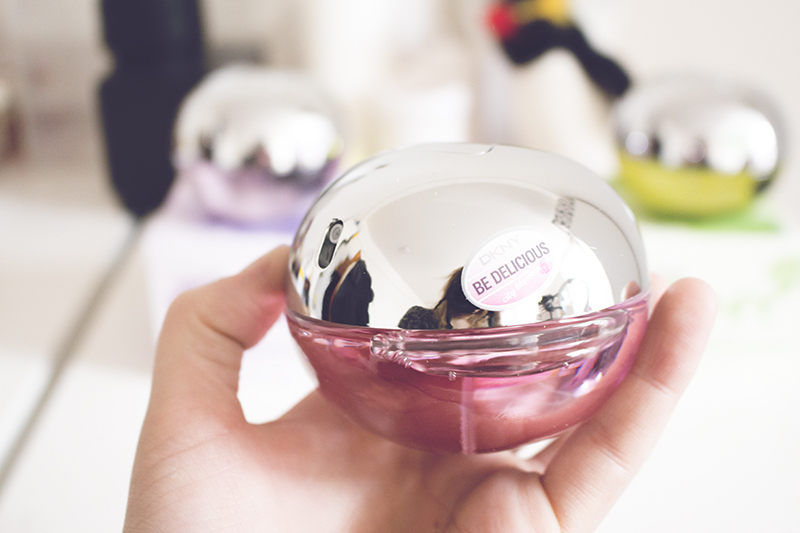 Then last but not least we have DKNY Be Delicious City Blossom Empire Apple. This is the classic Be Delicious scent with notes of apple, cucumber, grapefruit and Magnolia. One of the most instant recognisable fragrances on the market packed up in updated limited edition packaging. The DKNY Be Delicious City Blossom collection retail for £37 each and are available at all perfume retailers nationwide.